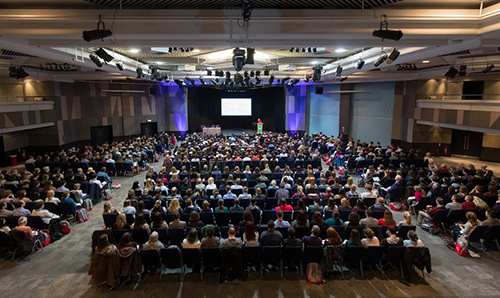 Every April BSAVA Congress delivers a cutting edge programme of over 450 lectures and practical sessions in the heart of the UK. The ICC and Arena Birmingham in Birmingham city centre host an impressive four days of development, learning and discussion. Alongside the lectures, over 200 of the industry's finest companies exhibit and Movie Night, The President's Soiree and V19 Beach Party evenings promise an amazing social experience. Don't forget that BSAVA members benefit from substantial discounts on the cost of Congress registration. Join us next year from the 4th-7th April 2019! Join us for a programme packed full of the latest science with clinically relevant and practical content. Hear from over 100 international experts across 53 unique streams and disciplines, engage with industry in the dedicated small-animal exhibition and network at our stunning social events. BSAVA members have access to the Congress Podcast archive where you can listen back to the last 5 years worth of lecture recordings. If you missed any particular topics, want to revise a specific subject area or want a flavour of the CPD at Congress, make sure you take a look at this fantastic resource.